The Submariner, the Reverso, the Royal Oak and the Speedmaster – four of the most iconic names in the history of watchmaking, each just as important culturally as horologically. 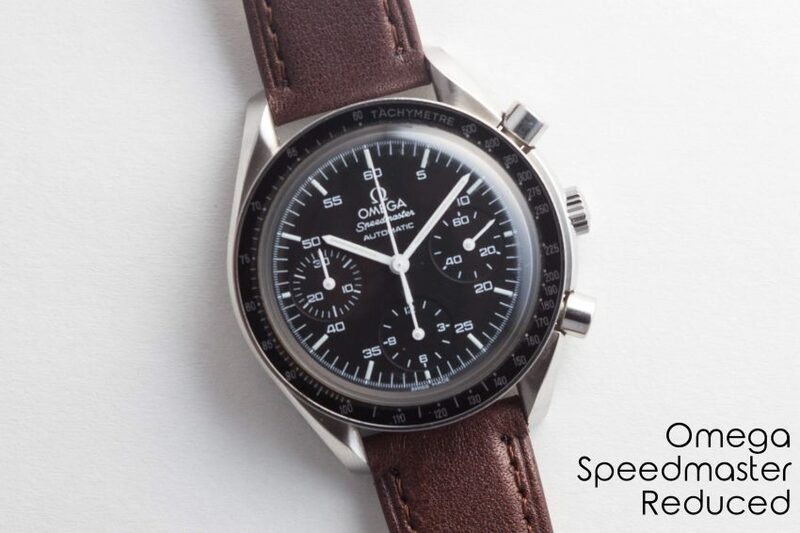 They’ve become legends that each one of us idolize and today, right here, we’re talking Speedmaster – a Swiss staple in most American collections. On July 21 of 1969, after rigorous testing alongside top brands like Rolex and Longines, an Omega Speedmaster was strapped to the space suit of Buzz Aldrin and it became the first watch on the moon. Fast forward nearly 50 years and there are hundreds of Speedmaster variations for our galactic enjoyment. But of all of the examples, references and styles, this particular model, the “Reduced” brings the most thunder with each dollar. Its twisted lugs, black dial, crisp white hands and acrylic bezel are classic Speedmaster, and yet its price tag is a fraction of the rest. And its size, at 39mm, is considerably more approachable than the classic 42mm.